Mike began his career as an associate at Woodward, Hobson & Fulton, L.L.P. and was admitted to the partnership in 1990. He remained as a partner with that firm and with its successor until 2013, when he joined Fultz Maddox Dickens. Mike’s practice focuses on advising businesses in organizational and transactional matters. He assists investors and entrepreneurs in selecting and forming business entities and in structuring and managing the often-complex relationships among equity owners, lenders and other stake-holders He also assists those businesses in negotiating, drafting and completing major transactions, including real property leasing and acquisition, acquisitions and dispositions of ongoing businesses, and the acquisition of capital through debt and equity offerings. He has advised both public and private clients in transactions across many industries, including manufacturing, retail, equipment rental, agricultural, golf course sale and purchases, and service industries. He has also had extensive experience in acquisitions and dispositions in regulated industries as disparate as solid waste transport/disposal and health care. 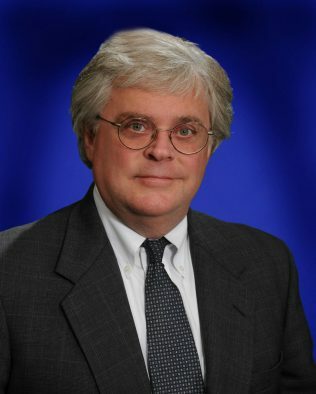 Mike has taught at numerous continuing legal education events for the Kentucky and Louisville Bar Associations and other entities on subjects ranging from limited liability companies to mergers and acquisitions to the ethical issues associated with the multi-jurisdictional practice of law. He is also active in civic and charitable affairs. He currently serves as a Director of the Portland Avenue Community Trust and Presbyterian Homes and Services of Kentucky. In addition to serving on the Board of Portland Avenue Community Trust and as Vice Chair of the Board of Presbyterian Homes and Services of Kentucky, Mike is a former member of the Board of Directors of Big Brothers/Big Sisters of Kentuckiana and remains active in that organization by serving as a Big Brother .